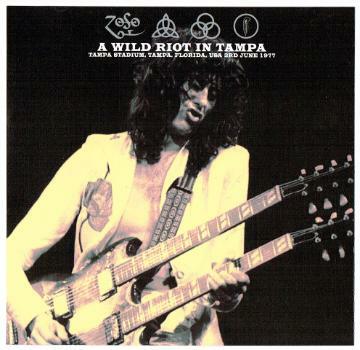 LED ZEPPELIN vs TAMPA = RIOT ! 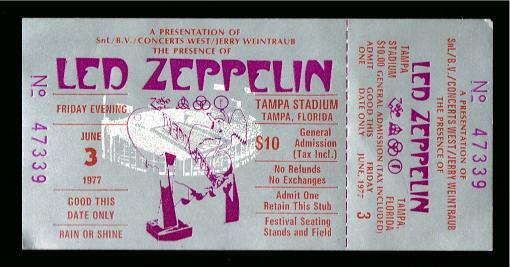 The last time LED ZEPPELIN played Tampa Stadium on May 5th, 1973 they set a world record attendance of 56,800 fans ! 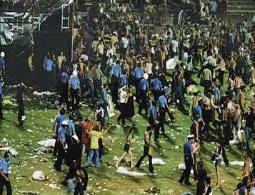 August 15,1965 appearance at Shea Stadium in New York City with an attendance of 55,600 fans. 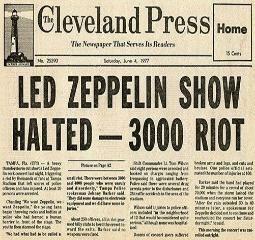 This LED ZEPPELIN appearance with 72,000 fans would be completely different ! 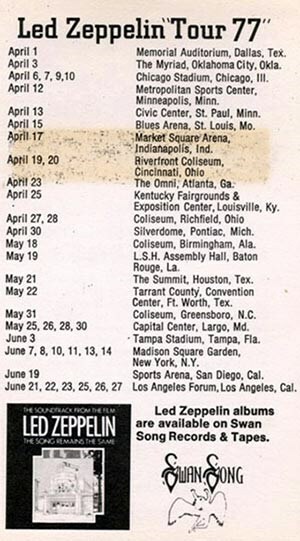 The 1977 LED ZEPPELIN US TOUR consisted of 44 shows, Tampa being show 27. 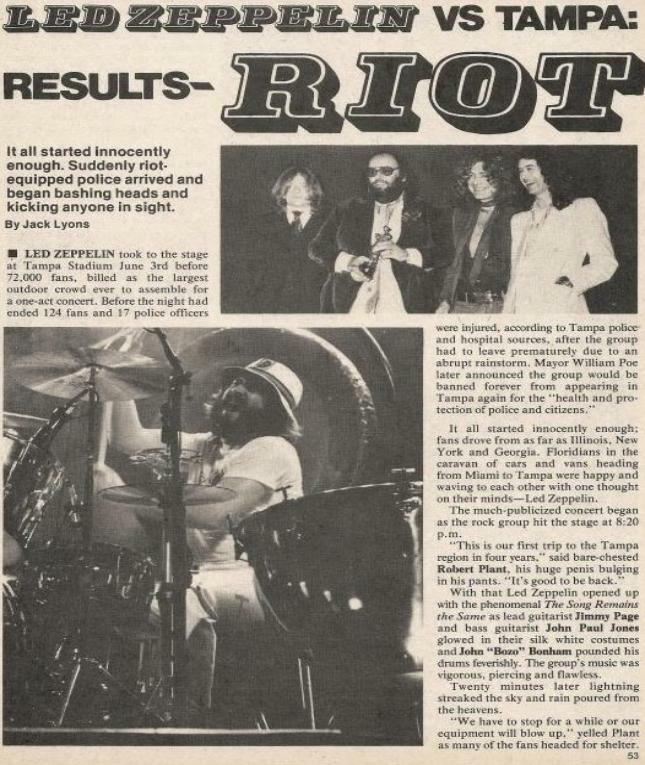 The stage was set and the band opened with "The Song Remains the Same"
lightning strikes and thats when Robert Plant told the audience "Sorry but due to the storm we are going to take a 15 minute break....and we promise to be back !" 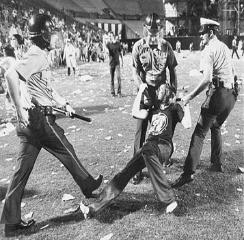 stadium with Billy Clubs and Riot Gear injuring over 125 fans and many being hospitalized. 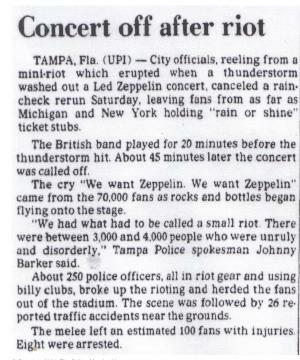 Atlantic Records issued a national apology for the incident and granted full refunds for the $10.00 tickets if you mailed them in or took them to a local vendor. 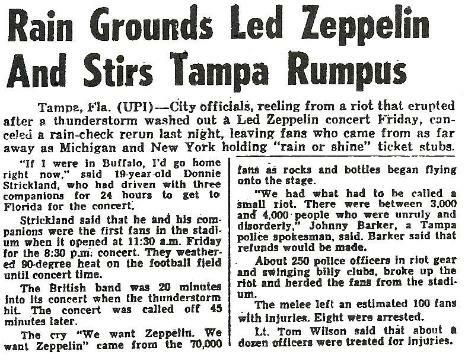 The aftermath got even worse when Tampa City Council decided to ban all rock concerts at Tampa Stadium indefinitely. 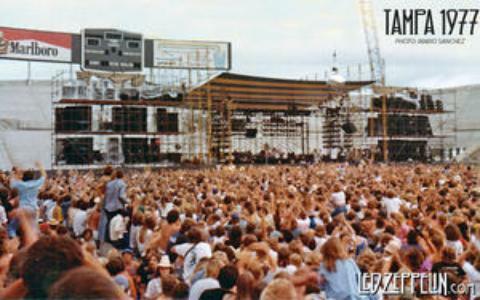 Tampa Stadium stood silent for almost 3 years until 1980 when THE EAGLES & JIMMY BUFFETT were granted an appearance. 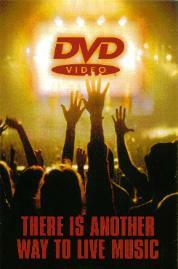 Now what could possibly go wrong at an EAGLES & JIMMY BUFFETT concert in January you ask ? 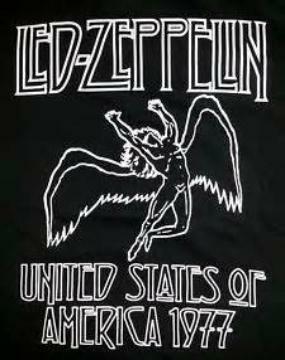 Absolutely nothing but 70,000 fun in the sun Parrot Heads smoking weed and singing outloud "Why Don't We Get Drunk & Screw !" 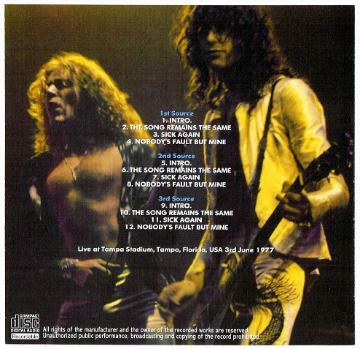 at different locations in the stadium and each have been remastered to this EXCLUSIVE 9 TRACK CD below. "The Songs Remains the Same"
so we gonna give it a 15 minute break are you cool ? 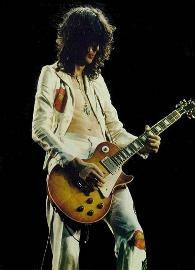 15 minute break we are gonna try it .....so bare with us ok ?"